There are some things about the craft beer movement that seem to be completely lost on the kings of macro. Pete Coors, the 67-year-old head of MillerCoors, revealed his disconnect from reality in a recent conversation with the Denver Post. Mr. Coors seems to completely miss the point that a paradigm shift in tastes has occurred, a shift that is working against yellow beer. Instead, he cites a litany of delusional reasons for the declining fortunes of macro beer. For starters, Mr. Coors suggests that pesky bar owners are to blame. These turncoats have become "enamored" with craft beer and are removing macro tap handles and replacing them with craft handles. Macro beer then lives in bottles behind the bar. With respect to bar owners, most of them were slow to embrace the craft beer concept. When they did, it was because that's what their customers demanded. You provide craft beer to your customers or you don't have any customers...or enough to stay in business. Simple. Of course you're going to replace macro handles with craft beer. That's what your customers want and it's far better to have a product that moves on tap. Relegating macro to bottle status is a smart move. In a growing number of craft-centric cities, macro tap handles are becoming an endangered species. 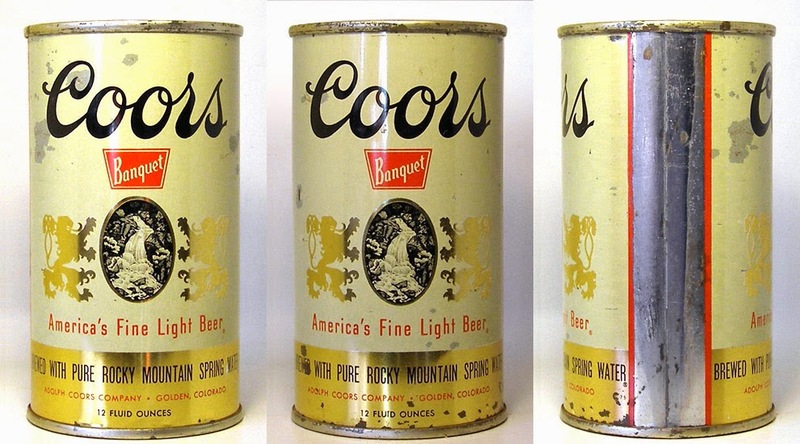 Give Mr. Coors credit for inventiveness. He points to research conducted by MillerCoors that suggests people stick around longer and spend more in establishments where light beer is served. There's a clever algorithm and app that helps explain it all for these businesses, he says. Real handy. Again, the problem you run into if you're serving primarily macro beer is customers . The algorithm may be perfectly workable, but it misses the point that consumers seeking a better product aren't going to frequent establishments that don't serve it. They'll go elsewhere. Nice try, though. Mr. Coors has a puff of reality when he talks about Millennials, the generation driving much of the present growth in craft beer. They don't own houses or drive cars, Coors says, but they will spend good money things they value...craft beer being one of those things. There's an element of truth there. The fact is, MillerCoors and Anheuser-Busch are in a bind with the Millennial crowd. The kids prefer craft beer at least partly because they perceive it as being less corporate. MillerCoors and AB would like to win this crowd over, but they seem unable imagine an effective way to do it. It may well be that Pete Coors and his ilk are frozen in another era, a time when macro dominated. His favorite beer, he says, is Coors Banquet Brand, which he's been drinking for decades. Banquet beer made Coors a force well before the iconic 70s flick, Smokey and the Bandit, made it legendary. You could only get it in some states, so people hoarded and smuggled it. Oddly enough, Coors tried to restore some luster to the Banquet brand in 2012, when Mr. Coors and his son embarked on a nationwide promotional tour. The timing was a little off. Craft beer was relentlessly gobbling up macro market share at the time, and has been ever since. Some dogs, even tried and true ones, just don't hunt in this market. At some point, you wonder if the large brewing companies aren't merely relics of another era, built to tap a mass audience with a marginal product and unable to adapt to change. Efforts to defend and revive dying brands seem like poorly formed strategies at a time when consumer tastes have fundamentally shifted, apparently for good. Time will tell. Macro breweries aiming for Millennials reminds me of Bud Light Platinum, the high ABV version of that lager water. Yikes.